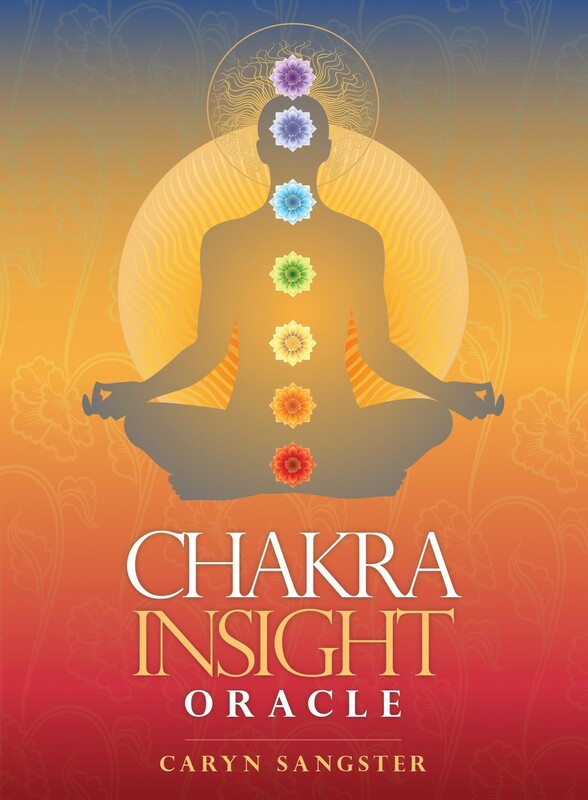 'Chakra Insight Oracle' is a powerful tool for connecting to and understanding the subtleties of the energetic body through the age-old system of the chakras. 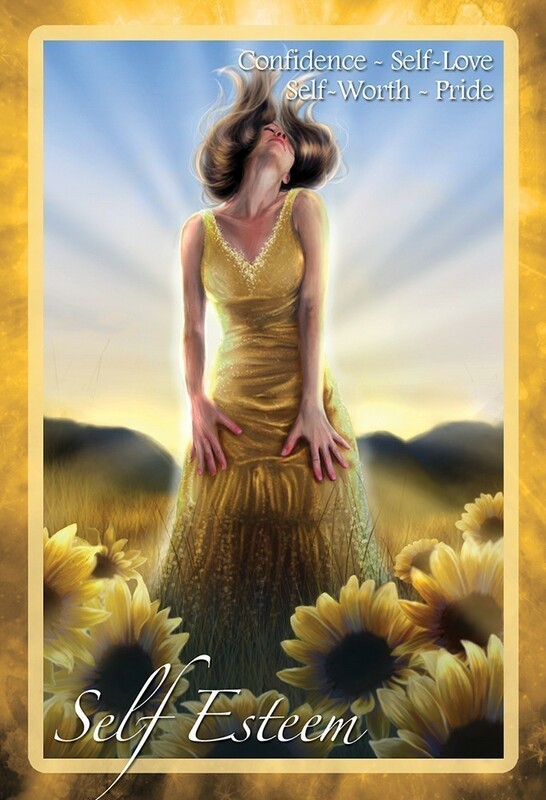 The deck features 49 cards in total, seven cards for each of the seven major chakras – Base, Sacral, Solar Plexus, Heart, Throat, Third Eye and Crown – with each card dealing with an aspect of that particular chakra. The 148-page guidebook offers a wealth of information on different ways to use the cards both on a daily basis and for longer, more intensive transformational journeys. 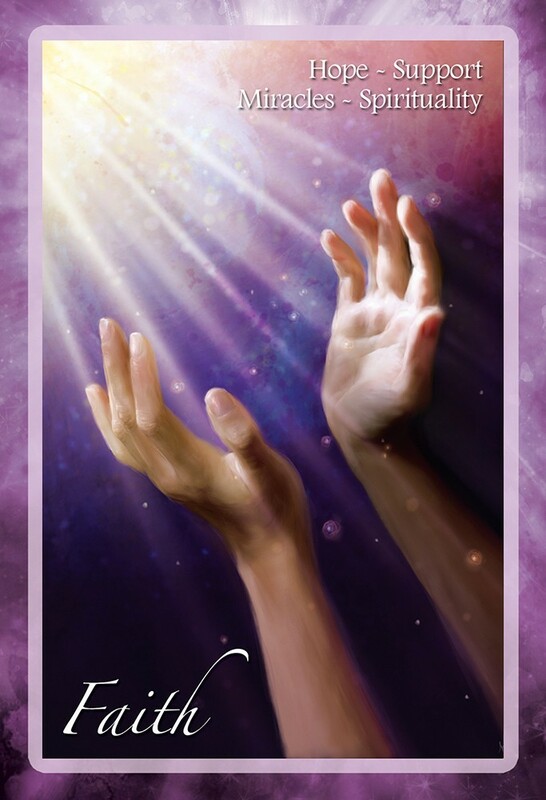 It is an invaluable resource for interpreting each card and addressing the underlying issues and potential ‘energy blocks’ within the chakras which ultimately helps promote self-healing and profound personal transformation. I bought these cards out of sheer curiosity and they're probably the ones I use the most in my practice! These beautiful & colourful cards are practical and will provide you with clear & deep insights if you open to their wisdom & messages. The Chakra Insight Oracle is a book and deck of 49 colorful cards and is, of course, linked to the basic seven chakra body-energy system. This boxed set includes a well-written text that is easy to follow and is organized on a continuum from the base to the crown chakra, and with cards filling in the degrees between the seven chakra points. For example, the book goes from the lower chakra up to the crown chakra, and when it reaches one main chakra point, there is a card for that individual chakra, say the heart chakra—Card 22. 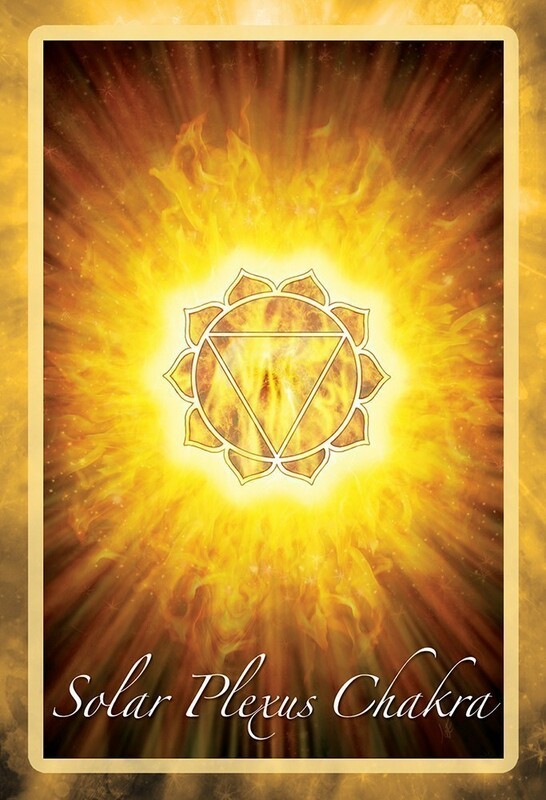 And then there are additional and related issues connecting to that chakra’s theme, such as emotional/heart concerns (heart chakra) with a card for each nuance: Forgiveness, Love, Passion, Connection, Emotional Balance, Compassion (Cards 23-28). 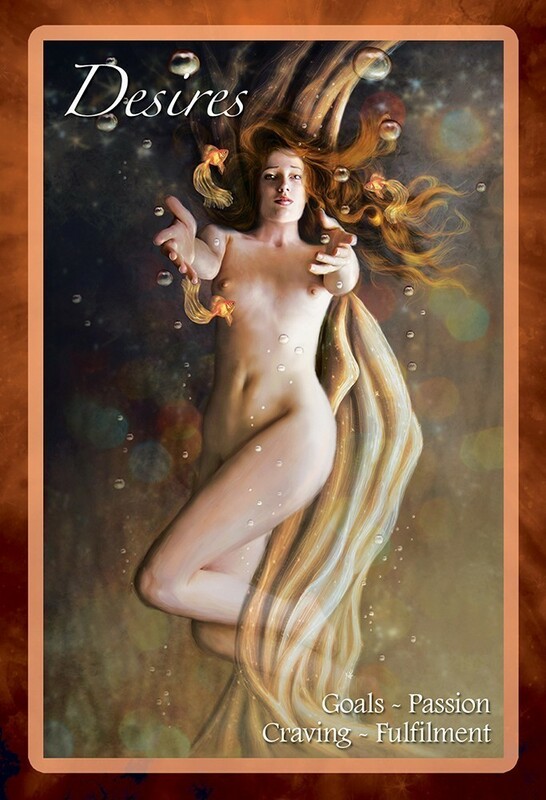 Then the author proceeds on to the next higher chakra with Card 29, the throat chakra, with corresponding themes, or issues, for that chakra, and so on in both directions. This structure provides a wonderful study for those interested in reinforcing their working understanding of the basic chakras and how these seven energy centers connect to our life and health. The book has 148 pages and a helpful section after the individual card interpretations includes 22 pages for the Chakra Tables, listing for each chakra: name, color, location, element, attributes, body areas, gland, archetypes, planetary connection, astrology, crystals and oils…which are associated with each particular energy center. 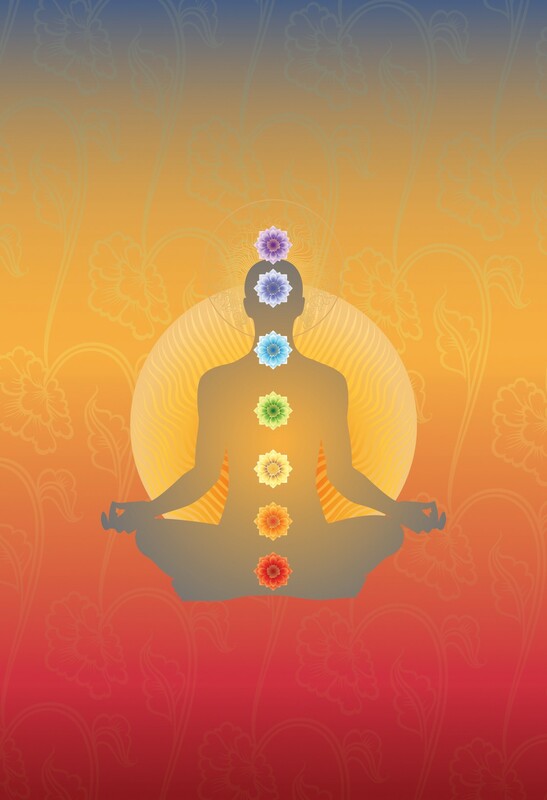 In addition, the harmonious and also inharmonious characteristics of that chakra are outlined. Meanings for card reversals (versus upright) are not directly given, although the author notes that an inharmonious chakra could be over or under charged. The cards are sturdy, 3 ¾ x 5 ½ inches, and have card backs in bright yellow with tinges of orange. Multi-talented professional artist Amy Edwards illustrated the cards with human figures, animals, sacred geometry, objects—and the variety of design and color is very pleasing. Each chakra “family” of cards has the main card, the chakra itself, and six other related cards (as noted above), and the card borders and color theme of each “family” match the color associated with that chakra. For example, the crown chakra cards have a purple border and the heart chakra cards carry a green theme. The book gives an introduction and guidelines for use, including some suggested card spreads. 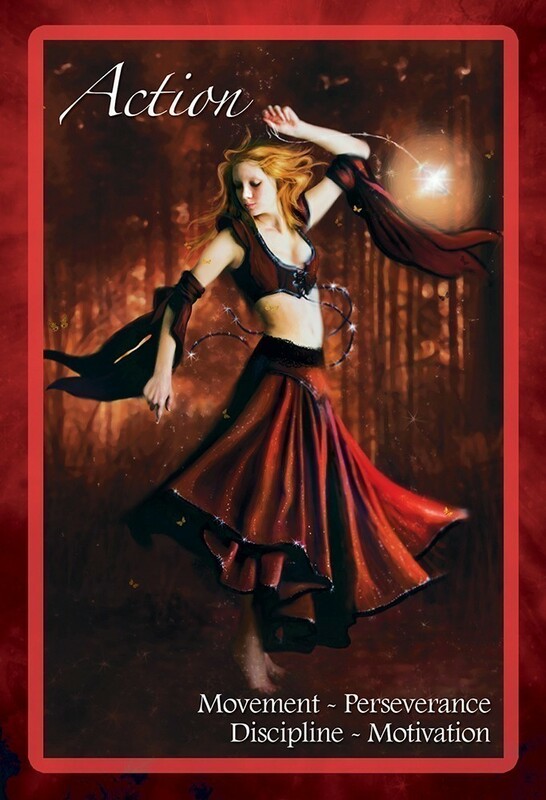 I like the well written text, colorful cards, positive emphasis and overall focus on mind and body awareness and health which the Chakra Oracle provides.